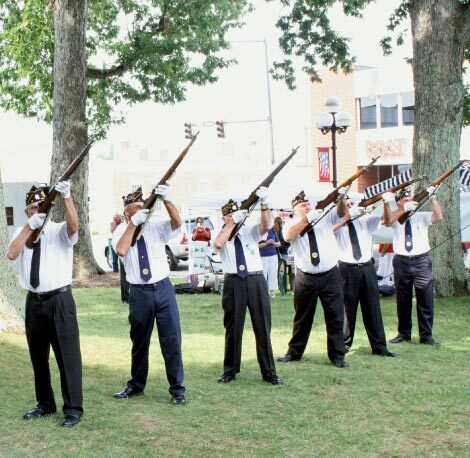 What is thought to be the nation’s oldest patriotic celebration not based on a holiday began in Newton, with boys shooing away pigs so they could water the town’s dirt streets before Confederate veterans paraded around the courthouse. That year—1889 by most accounts—the local chapter of United Daughters of the Confederacy supplied a bountiful picnic supper for Civil War veterans and their families. There to reunite with comrades and pick up their pensions, the soldiers had no idea they were starting a tradition that would continue to this day. The Soldiers Reunion now honors veterans of all American-fought wars each August with a week of celebrations. This year, World War II veterans, units of the National Guard, American Legion, and ROTC will march in the parade. The first official reunion grew out of gatherings that Confederate soldiers had held on the courthouse square since 1882. That was the year Fannie Ransom, a Pennsylvania-born daughter of a Confederate general, married Marion Williams, the editor of Newton’s newspaper, The Enterprise, which advanced the idea of a state veterans association. In 1889, Fannie was one of a dozen women who organized the reunion to raise money for a veterans’ home. And so the tradition was born. In the early 1890s, she oversaw the preparation of food and greeted veterans. “Aunt Fannie,” as the men called her, led the parade for years.